While the Gmail introduced voice and video chat in late 2008 (Windows and Mac), it seems it was never made available for the Linux operating systems. If you have been trying to do that on Linux, good news for you, it has just been made available. 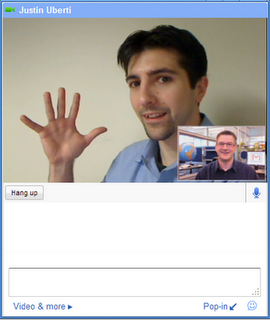 All you have to do is point your browser to http://www.gmail.com/videochat and download the plugin to get started. Voice and video chat for Linux supports Ubuntu and other Debian-based Linux distributions, and RPM support will be coming soon.